Do you feel overwhelmed with all of the today’s flashy PCs and want to stick to the basics? If you’re looking for a desktop with a classic style, powered by Gen. Coffee Lake six-core processors, SuperMulti DVD burner, at least 8GB of memory, etc. then look no further: the Acer Aspire TC TC-865-DH11 offers all of these features and it’s affordable for even the most budget-conscious buyer. Whether you want to use it for play, work, homework, research, or any other task, this desktop is a good choice. The 16-liter chassis is large enough to provide extra space for expansion, should you ever want to add additional hardware or swap some out. The design includes classic ridged edges and a functional cover. Immerse yourself into multimedia and entertainment with the high-definition audio, which includes 5.1 channel surround sound. There is enough room for expansion if you want full functionality in the future. 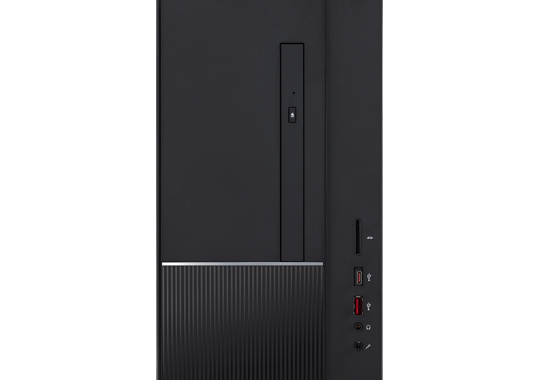 The design of the tower, which includes an optical drive that is recessed into the front surface, offers functionality while maintaining an architectural appearance. The ports you’ll likely use the most, including the headphone / microphone jack, card reader, USB 3.0 ports, etc… are conveniently located within easy reach. Just insert an SD card and carry your media with you. The Acer Aspire TC TC-865-DH11 can be equipped with NVIDIA GeForce GT series graphics, although the basic configuration includes integrated Intel UHD Graphics (630) DDR4 SDRAM. These integrated graphics are still impressive. However, if you want to play some games, it’s recommended that you add the NVIDIA GeForce GT dedicated graphics. In addition to the optical drive, there is a Serial ATA 1TB storage drive. There is room for more, of course, as there are two I/O expansion slots: one PCIe Express 1x and one Express x16 slot. Expect exceptional performance with the Intel Core i5 hexa-core processor, which can deliver 2.80-GHz at minimum and up to 4.0 GHz with turbo speed. It is also capable of 64-bit processing. As for the memory, there is an option for 16GB Intel Optane technology. Standard memory for the Aspire TC is 8GB, and maximum memory is 16GB. Another reason why the Acer Aspire TC TC-865-DH11 really stands out is because it comes with Wireless LAN IEEE 802.11 ac technology, Gigabit Ethernet, and Bluetooth 5.0. Many traditional desktops don’t come with wireless technology built-in and Bluetooth, so it’s nice that this machine does. Are you on a tight budget? Good news: there really is no need to spend a fortune on the Acer Aspire TC TC-865-DH11, as it is pretty affordable – even if you choose the NVIDIA GeForce GT graphics. How do you get it at a good deal? All you have to do is use a valid Acer coupon code. These desktops are very well built and can last you for years. Whenever you need more speed or power, you can easily expand. Since Acer Aspire TC TC-865-DH11 reviews tend to always be positive, this is a desktop you don’t want to miss out on. Take one look at a Predator desktop and you’ll know right away they are so popular. This is a beast of a machine with glowing blue LED lights, which are customizable, a see-through chassis, and a column of metal grilles right in the middle of the panel. As long as you have enough space on your desk or table, the new Acer Predator Orion 9000 PO9-600-I7KDCE is definitely a desktop you’ll want to consider buying. Since it’s so spacious, there is enough room for you to really expand the hardware. The windowed panel can easily be lifted away after simply loosening two screws and gently pulling on the handle. On the inside, everything is roomy and clean. A shroud is covering the PSU. There is even blue lighting on the inside that matches the glow on the exterior. Those who are tired of bright red and orange lighting on other gaming desktops will really appreciate the cool blue. It’s not surprising that a gaming desktop such as this will have custom cooling options as well. Acer’s IceTunnel 2.0 technology partitions the machine into several thermal zones, which directs the heat out and far away from the internal components. There are 5 case fans and a metal mesh on the front and top that allows cold water to come in. Just how much memory can one desktop contain? The Orion 9000 has 8 DIMM slots, allowing you to expand the RAM up to 128GB. How big is this desktop? It weighs a whopping 42.33-lbs and measures (inches) 25.31 x 11.77 x 27.56 (H x W x D). In addition to the Acer Predator Orion 9000 PO9-600-I7KDCE, the package includes a Predator gaming mouse and keyboard, SLI Bridge, and power cord. The power supply allows the machine to run at a maximum wattage of 1,000W! A tower like this definitely comes with no shortage of USB ports, including 8 USB 3.1 Generation 1 ports and 4 USB 2.0 ports. Connect the Orion desktop up to a display via HDMI or DisplayPort. You can easily get a boost of power when playing your games on the Acer Predator Orion 9000 PO9-600-I7KDCE by pressing the turbo button. No matter what you want to use it for, you can get top-end performance thanks to the cutting-edge parts and design. It’s time to get started with your desktop shopping. 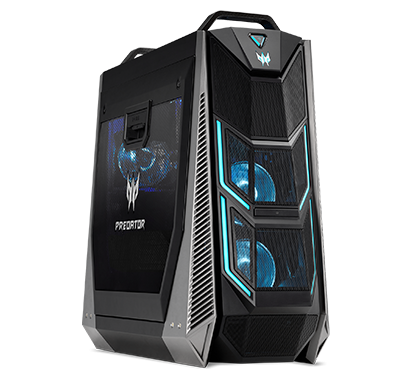 If you really want a nice looking PC packed with a lot of power – and room for even more – check out some Acer Predator Orion 9000 PO9-600-I7KDCE discounts to learn how you can get it at a great deal. 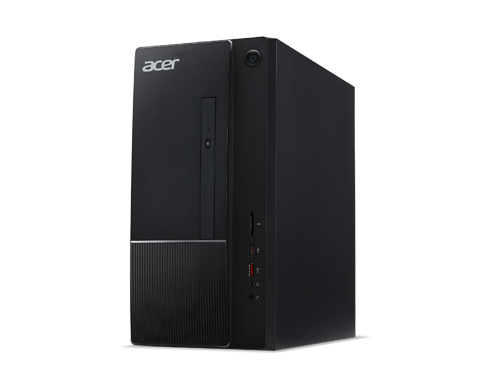 Are you in the process of shopping for a budget desktop that comes with enough features for all of your home or office needs, as well as Wi-Fi capability and room for hardware expansion, then one good choice is the Acer Aspire TC TC-865-UR11. It’s a mid-range PC that is available at an entry-level price. The tower itself is attractive, shiny and black. There is enough room for good hardware and expandability. One area where it really stands out is its built-in power management unit. This feature monitors system activity, and if there is no activity detected for a certain period o time, the PC stops some or all of the connected devices (mouse, keyboard, etc..) as well as some of the processes such as video memory. The power supply wattage is a maximum of 300-W, which isn’t bad at all for a desktop of this size and price. Even thought the tower is spacious, it’s still small enough to fit on most office desks, including those with limited space. This is a mid-tower chassis that weighs approximately 18.4 pounds. There is a top tray that really comes in handy when you need to either sync or charge your mobile device via one of the USB ports. Connectivity is good with the Acer Aspire TC TC-865-UR11 as well. With two HDMI ports and VGA, you can connect it to any high-definition display, or multiple displays. There are a wide variety of USB ports, including four USB 2.0, two USB 3.1 Generation 1, and USB 3.0 ports. Another area where the desktop stands out is its optical drive, which isn’t something the average desktop tower comes with anymore. You get a DVD-Writer that supports all DVD and CD + / – R and RW multimedia formats. The processor is an Intel Core quad-core i3 (8100) model with 3.60-Ghz speed and 64-bit processing capabilities. The 8GB of standard memory can easily be expanded to 32GB if your needs require additional RAM. There is an SD memory card reader. As for the hard drive itself, there is a Serial ATA / 600 1TB drive included in this machine. What about graphics controller? The Intel UHD Graphics (630) are pretty powerful for shared DDR4 SDRAM graphics. Some additional features that come with the Acer Aspire TC TC-865-UR11 include HD Audio, LAN Standard (IEEE 802.11 ac), Bluetooth 5.0 technology, Gigabit Ethernet technology, USB mouse, and USB keyboard. As long as you order it at the online Acer store, you might get a good warranty. 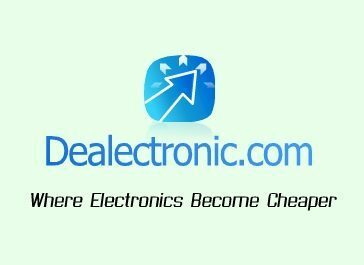 There is one thing for certain: you can get it at an affordable price if you take advantage of Acer Aspire TC TC-865-UR11 coupon offers, which are available right now. There’s never any need to spend much money on a desktop – especially if you shop with Acer. Are you looking for a PC that can multi-task multiple webpages at once without any lag? One that can perform well, even at a budget price? One desktop that should meet your criteria is the Acer Aspire TC TC-330-UR11. It comes with all of the essentials you need for getting the job done. 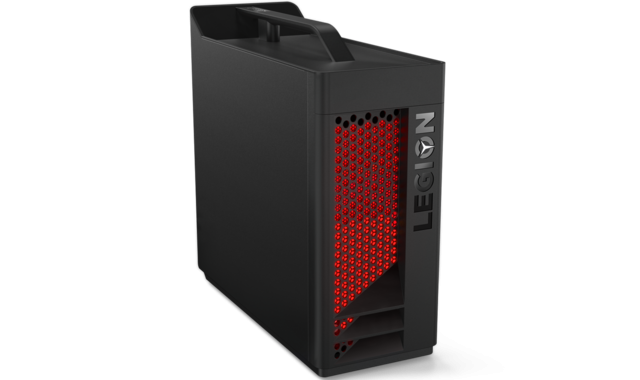 Despite its low price, it still comes with features like AMD Radeon graphics and dual-core AMD A-series processor. You can use it for entertainment, business, or both. It’s a versatile machine that provides ample storage and good connectivity / networking features. This machine is built to last – you can use it for several use before it needs to be replaced. It’ll still perform just as efficiently two+ years from now as it does the day to take it out of the box. Not only is it an efficient and reliable PC, the Aspire TC is also fast and quiet. The computer powers up and boots to desktop very quickly. The RAM and CPU perform well, even when running resource-intensive programs. While this isn’t intended to be a gaming desktop, you should still be able to play casual games. The inclusion of a Wi-Fi adapter is very nice. A lot of desktops don’t come with one and require additional purchases in order to connect wirelessly to the internet. This isn’t the case with the Acer Aspire TC TC-330-UR11, as it features Wireless LAN IEEE 802.11 ac standard and Gigabit Ethernet. For Bluetooth-enabled devices, it comes with Bluetooth 4.2 LE. There are six USB ports, including three USB Gen. 1 3.1 ports and three USB 2.0 ports. For connecting the tower to a display, HDMI is included. There is a PCI Express x16 slot I/O expansion as well. The AMD A-series (A9 9420) processor is a dual-core model that is capable of reaching 3.5-GHz and 64-bit processing. The 8GB of memory is standard – you can expand up to 16GB of DDR4 SDRAM memory. SD memory card formats are supported. For storage, there is a Serial ATA / 600 hard drive with 1TB capacity, and an optical drive where you can backup DVDS or watch your favorite movies. As mentioned above, there are AMD Radeon R5 graphics. Windows 10 Home (64-bit) is pre-installed as the operating system. Another good thing about the Acer Aspire TC TC-330-UR11 is that it has a nice design – it has a simple, yet sleek black chassis and measures 13.4-inches in height, 6.4-inches in width, and 13.8-inches in depth. It features some of the USB ports on the front – a very convenient location for a desktop PC. A USB keyboard and mouse also come included in the box with the tower and 300-W power cord. 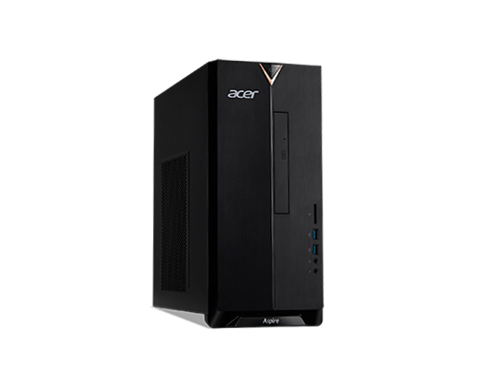 The Aspire line is one of Acer’s most popular, as it features a variety of good, affordable desktops and laptops. Use Acer Aspire TC TC-330-UR11 discount codes to help you get a good deal on this desktop. It’s a good idea to shop at the Discount Acer Store. Batteries aren’t usually found in all-in-one machines, making this machine very unique. On the surface it appears like a desktop PC, yet it actually comes with a battery that has a 5-hour runtime. In short, it can be considered a giant tablet. 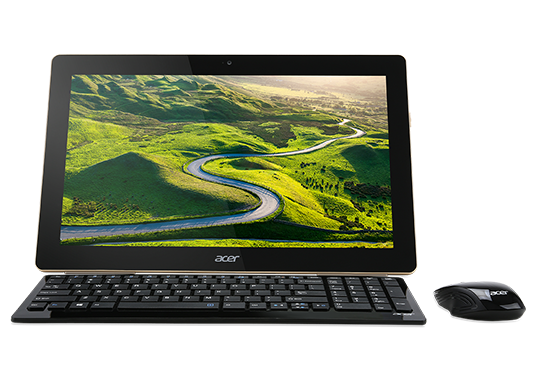 The Acer Aspire Z3 AZ3-700-UR11 doesn’t have to be confined to a desk, either – you can set it up just about anywhere. This is obviously a versatile machine that can be used for anything from work to entertainment. All of the components are neatly placed in the back of the thin display. There is a folding kickstand that allows you to flip the display around and use it in “tent” mode or “tablet” mode. The screen is very nice and sleek, and manages to always stay clean thanks to an anti-fingerprint coating. Expect comfortable viewing from just about any angle, thanks to the display’s adjustability. It can be tilted from -5 to 30+ degrees. Acer BluelightShield keeps the eye-straining blue light at bay, so you won’t have to strain your eyes. Digital microphones and full HD webcams allow for you to enjoy clear video chatting with friends, family, and associates. There is a full HD webcam that features 80-degree “Wide Field of View” technology, which puts everybody in the picture. The Acer Aspire Z3 AZ3-700-UR11 has a quad-core Intel Pentium processor (1.6-GHz) with 64-bit processing. Windows 10 Home is the operating system that powers the PC. There is 4GB of memory that comes standard, and there is room for up to 8GB (DDR3 SDRAM). For storage, the solid state drive has a capacity of 128GB. The display is where the all-in-one really shines. It’s a 17.3-inch Full HD display with LED and IPS technology. It’s a multi-touch screen with a resolution of 1920 x 1080. Thanks to the 10-point touch feature, the system is very precise and responsive. For the graphics, you get Intel HD graphics 405 with 4GB shared capacity. There is wireless LAN standard technology that allows the Aspire Z3 to be connected to the internet wirelessly. If you want to connect it to a second display, you can do so thanks to HDMI. There are two USB ports and Bluetooth 4.0+ LE, which allows you to stay unplugged and connected to wireless devices, the internet, and so forth. There are plenty of positive Acer Aspire Z3 AZ3-700-UR11 reviews, as users are very satisfied with this AiO / large tablet. Some of the features they tend to praise include the lightweight design, amazing 1080p multi-touch display, and high-quality audio. This really is a nice device to have around the house. Shop at the online Acer Store for great deals on laptops, desktops, tablets, monitors, and a variety of other electronics. Did you know that coupons are readily available? You should be able to save on this computer by using an Acer Aspire Z3 AZ3-700-UR11 promo code. The 24-inch All-in-One PC from Acer has superior craftsmanship with its super-slim, borderless screen. Colors are adjusted in real time to ensure an amazing viewing experience, whether you are looking at photos, videos, or text. It looks great anywhere you put it, whether it’s in the living room, home office, reception area, etc. The Acer Aspire S 24 S24-880-UR12 is reasonably priced considering its quality build and features. Not only is the display nice, it’s also framed by gold accents. Even though it’s essentially a mainstream PC, this AiO looks premium. Acer has done a good job at balancing design and value. With specs like a 23.8-inch full HD display and 1TB HDD, you should be able to use it for a wide variety of tasks, including entertainment, video-chatting, research, homework, office tasks, and so forth. In addition to good performance, the machine offers fast wireless connectivity. It’s really not possible to get an all-in-one any thinner than this 0.24-inch thin display. It’s not only a space saver, it offers a modern touch to any home or office. Spend time being more productive, as creating and editing content is a simple process with turbo boost technology and 12GB of memory. 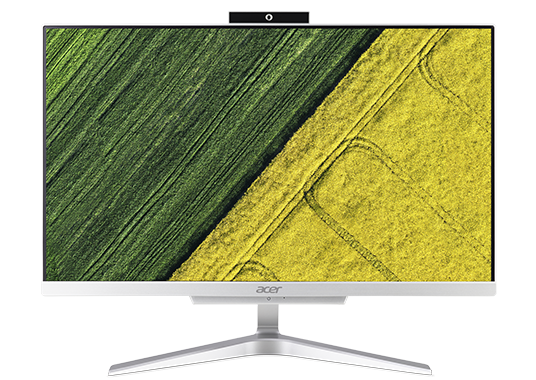 The in-plane switching (IPS) technology on the display means you’ll get wider viewing angles and excellent color reproduction with the Acer Aspire S 24 S24-880-UR12. Additional technologies the display comes with include Blueslight Shield, Flickerless, and Acer ExaColor for better saturation and contrast. This is a full HD display with LED and 1920 x 1080 screen resolution. There is ergonomic adjustment, as the screen tilts from -5 to +25 degrees with minimum effort. As for the processor, a quad-core Intel Core i5 CPU with 64-bit processing powers this all-in-one. There are UHD Graphics (620) included as well as 12GB of system memory (DDR4 SDRAM), which can be expanded up to 32GB of memory. For storage, you get a 1TB capacity. Another great thing about the Acer Aspire S 24 S24-880-UR12 is that it comes with wireless communications /networking with IEEE 802.11 ac standard and Bluetooth 4.2 LE. There is also Gigabit Ethernet technology. The operating system that comes installed on the AiO is Windows 10 Home 64-bit Edition. The wireless keyboard and mouse that come in the box with the Aspire S work efficiently. There is a power cord that offers a maximum supply wattage of 135-W. If you want a new desktop that can handle your entertainment needs, the Acer Aspire S 24 S24-880-UR12 is a great choice. Its thin, sleek all-in-one design makes it adaptable to any room as it can fit just about anywhere. 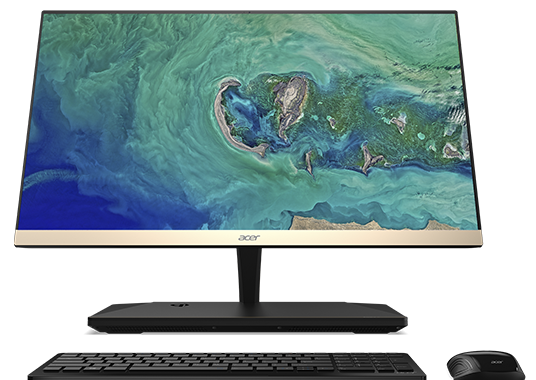 Since Acer Aspire S 24 S24-880-UR12 reviews are overwhelmingly positive, there is really no reason NOT to buy this all-in-one. It makes a nice addition to any home or office and you don’t have to spend that much money it. 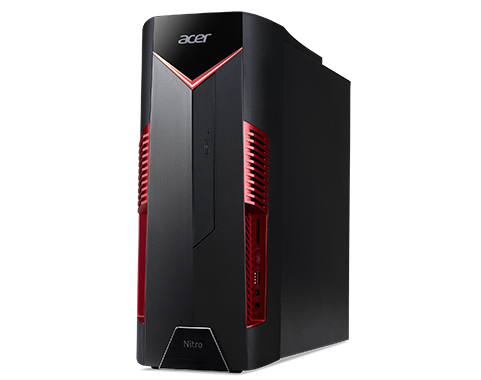 Just use Acer coupon codes and start saving.